The Guitar Play Along DVD series lets you hear and see how to play songs like never before. Just watch, listen and learn! Each song starts with a lesson from a professional guitar teacher. Then, the teacher performs the complete song along with professionally recorded backing tracks. You can choose to turn the guitar off if you want to play along or leave the guitar in the mix to hear how it should sound. You can also choose from multiple viewing options; fret hand with tab, wide view with tab, pick & fret hand close-up, and others. 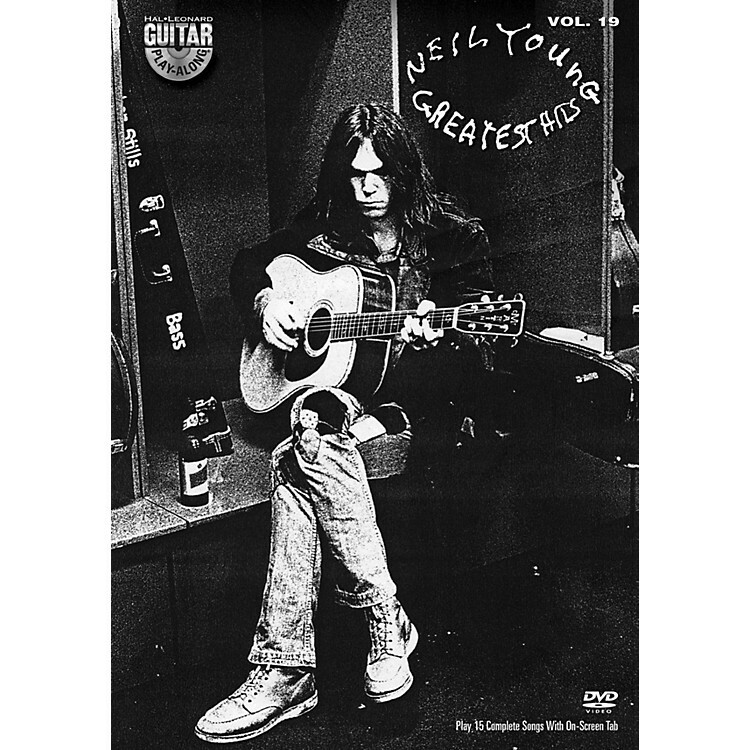 Features 15 selections from Young's 2004 greatest hits album: Cinnamon Girl • Comes a Time • Cowgirl in the Sand • Down by the River • Harvest Moon • Heart of Gold • Helpless • Hey Hey, My My (Into the Black) • Like a Hurricane • The Needle and the Damage Done • Ohio • Old Man • Only Love Can Break Your Heart • Rockin' in the Free World • Southern Man.